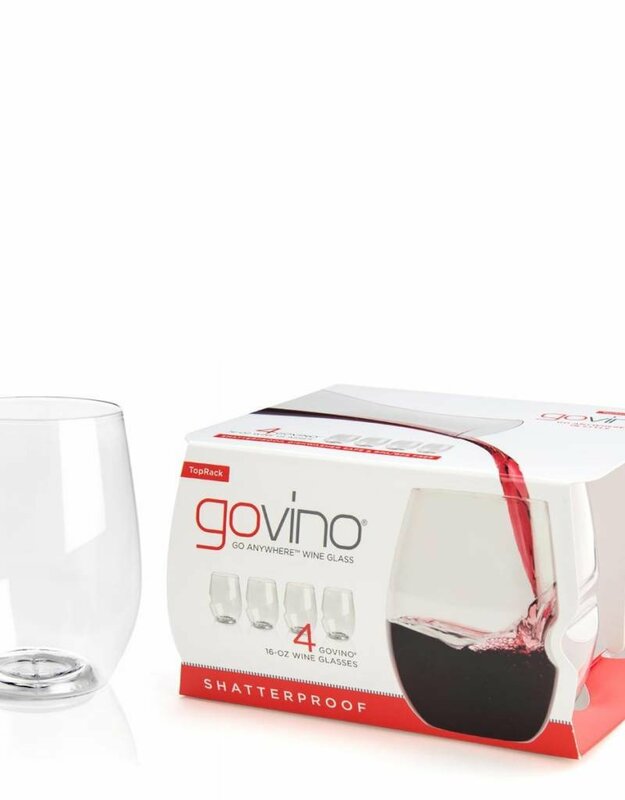 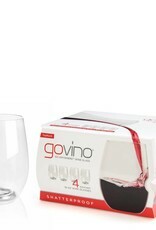 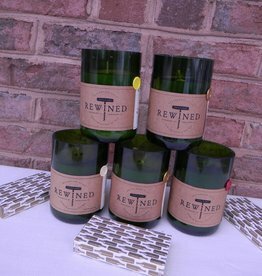 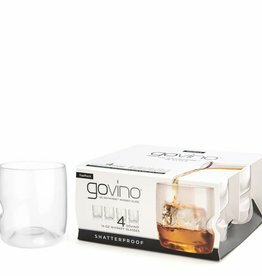 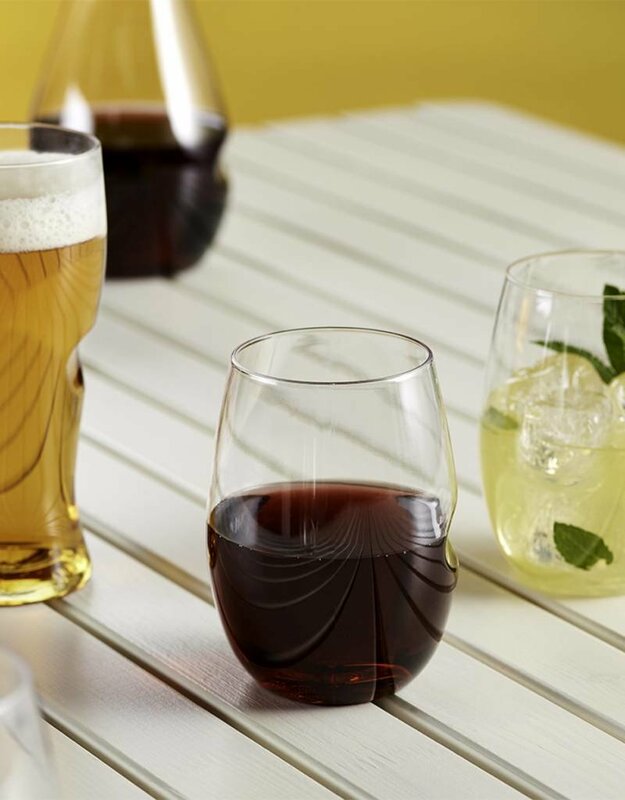 Set of four shatterproof 16 OZ stemless wine glasses. 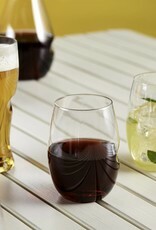 Ergonomic thumb notch and crystal like lip. 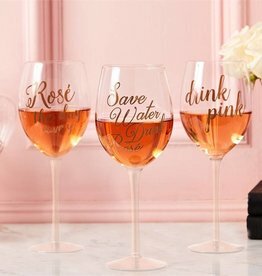 Tall wine glass with rose gold lettering.